When Alvin Toffler wrote Future Shock in 1970, he suggested that most people in the urbanised, industrialised West were suffering the anxiety of “too much change in too short a period of time.” Playing with that title three decades later, media theorist Douglas Rushkoff believes that most of us are now present-shocked. It’s not so much the prospect of future change that is overwhelming us; it is the onslaught of information and options now. “People spent the twentieth century obsessed with the future. We created technologies that would help connect us faster, gather news, map the planet, compile knowledge, and connect with anyone at anytime. We strove for an instantaneous network where time and space could be compressed. If you are looking for a book to describe and challenge the ways you interact with both mainstream and social media, and the general busy-ness of life, this is worth a look. 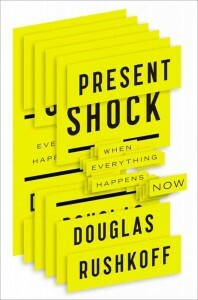 Rushkoff devotes a chapter to each of five symptoms he sees as the causes/effects of Present Shock: Narrative Collapse – our attempts, in every sphere from pop culture to politics, to communicate and function without a linear story line. Digiphrenia – our attempts, through media and technology, to be in more than one place at a time. 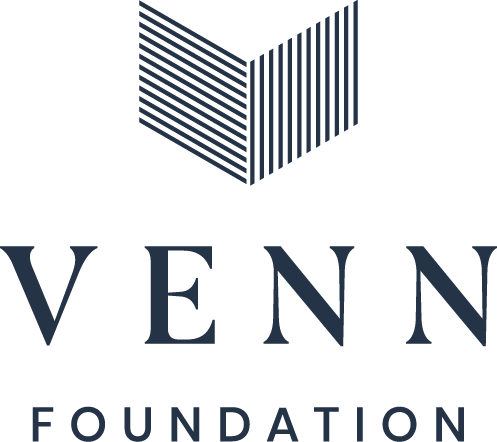 Overwinding – our attempts to squish really big timescales into much smaller ones. Fractalnoia – our attempts, in a world with no enduring story lines, to find patterns in the moment, even when the connections are forced or imaginary. And finally Apocalypto – failing all else, our hope that somehow, some day, we get to escape or hit the reset button on all the madness. He notes that most of us have largely lost touch with the temperatures and timings of nature. The development of heating and refrigeration means that we can now live right around the globe. The development of electric lighting and caffeine means that we can now work right around the clock. And the development of genetic modification and trade means that we can now eat all of our favourite fruits and veges right around the calendar year. The traditionally cyclical days and seasons have been pushed and mushed together into one long, homogeneous timeline. We have largely ignored our “chronobiology” and Rushkoff suggests our health (and even our productivity, in case you find that a more compelling reason to change than your health) can suffer as a result. It’s not that we all need to become Amish, but there are some simple things we can do to reintroduce some seasonal and circadian rhythm back into our lives. Just don’t Google them within an hour of going to bed. Chronobiologists have shown that late night screen time has a detrimental effect on sleep quality. And even Toffler knew in the 1970s, no matter how shocked you are – Future or Present – you need your sleep.